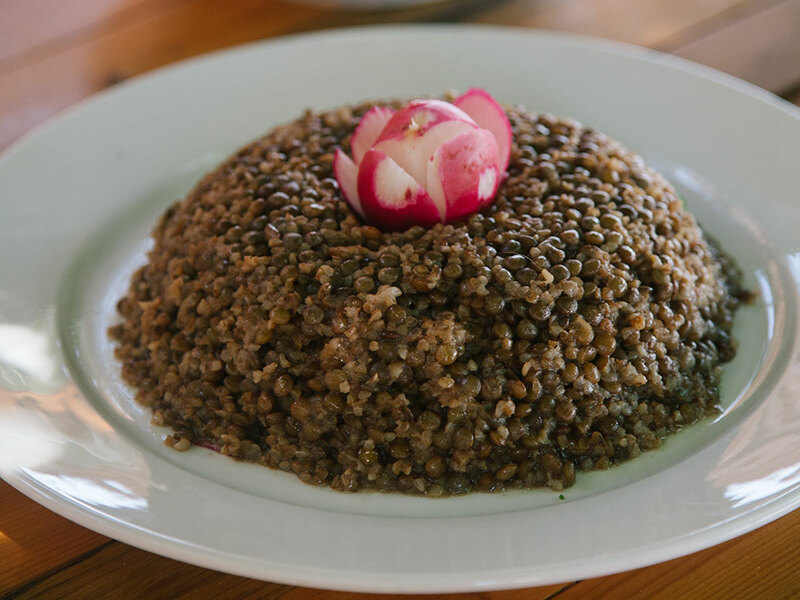 One thing is sure: Mujadara lentils must be small, round, and dark brown. Those have a deep nutty flavor that will make all the difference for this purist’s dish. Mujadara is all about being a vegetarian dish, and so a version with meat seems so contradictory and weird! But it does exist, and it is Georgina al Bayeh, Tawlet’s super smiling cook from Kfar Dlekos, who initiated us to the wonders of mujadara b’ lahmeh! 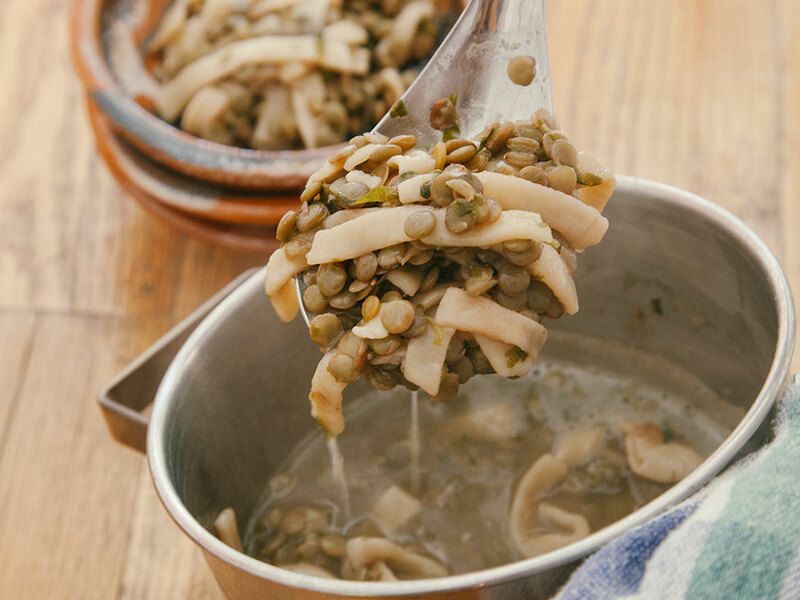 A definite winter warmer, aadass bi hammod is a thick soup/stew of lentils, Swiss chard, potatoes, onions, and lemon juice. It is a winter mountain meal, made when chard is abundant and beautiful. 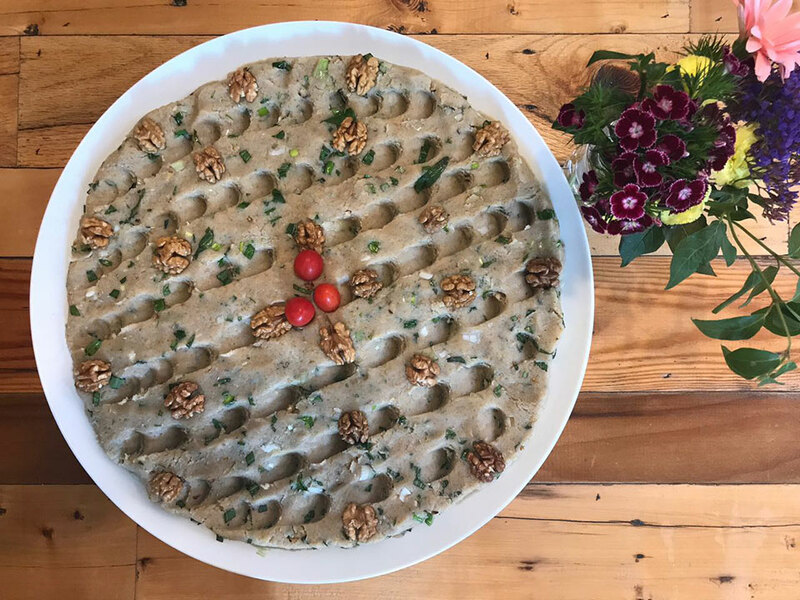 Kibbeh is mainly done with meat, with more than 30 different versions of it, but in coastal cities, kibbeh is made with fish! 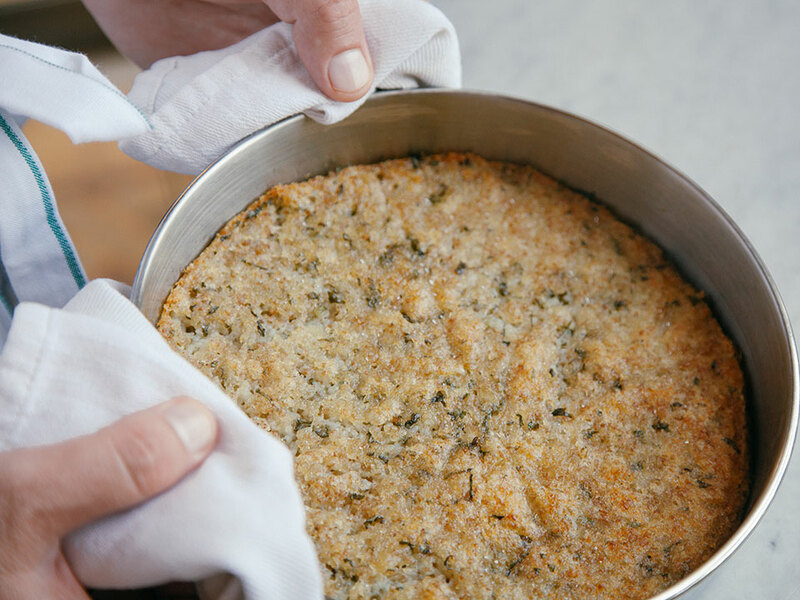 This is one of the easiest kibbeh to do, as no shaping dexterity is needed! Kebbet batata, or potato kibbeh, comes in two versions. 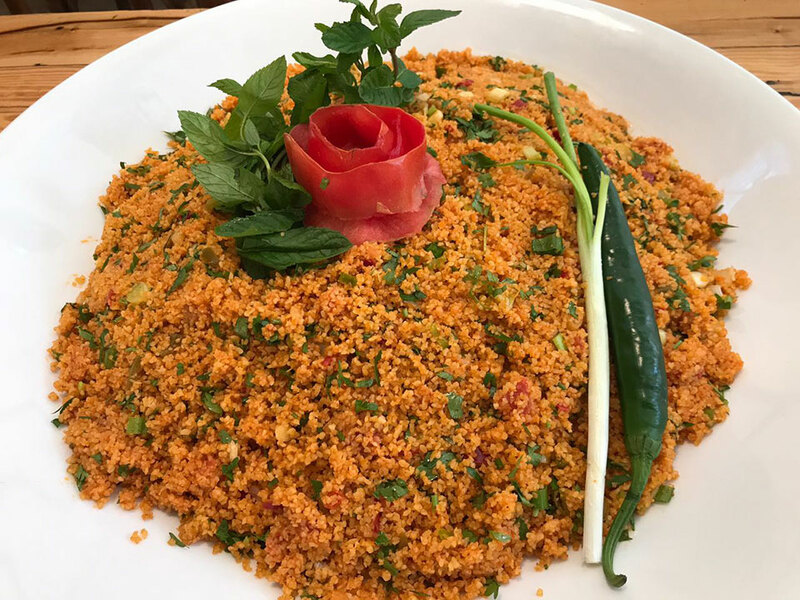 In this version, nayeh means “raw”; not that the potato is raw, because it is boiled and cooked, but rather that it is mixed with bulgur and herbs and eaten without further cooking. 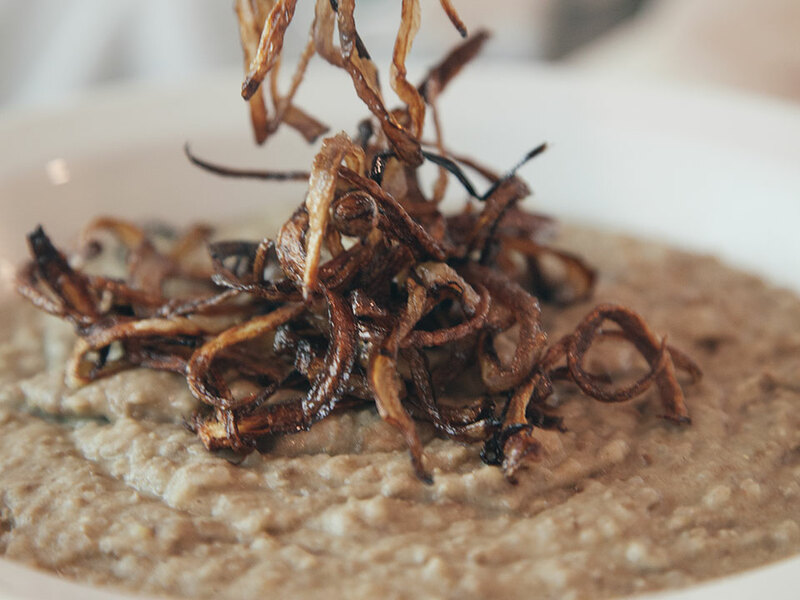 Reshta is the West Beqaa answer for what to serve for Good Friday’s lunch: large homemade noodles in a thick lentil stew. 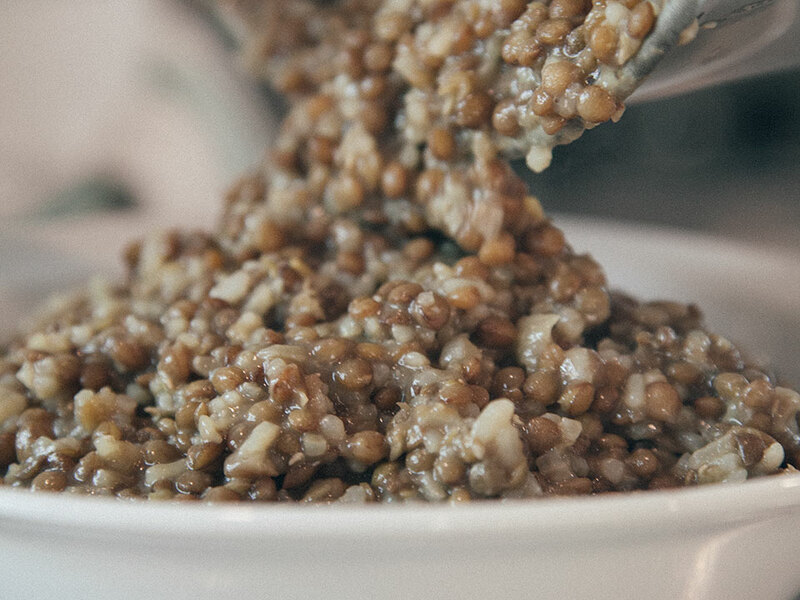 Lentils are a Good Friday staple, and are said to represent Christ’s tears. 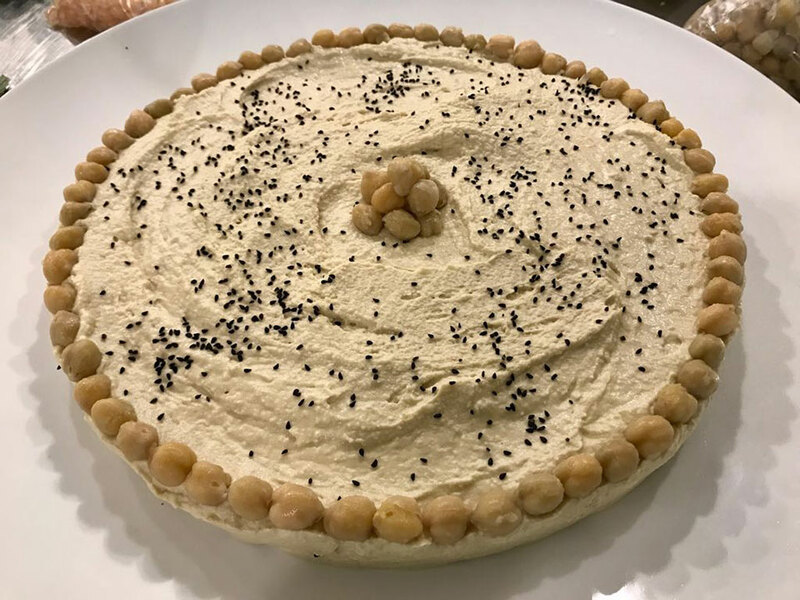 Fava beans are a staple of Lebanese cuisine. 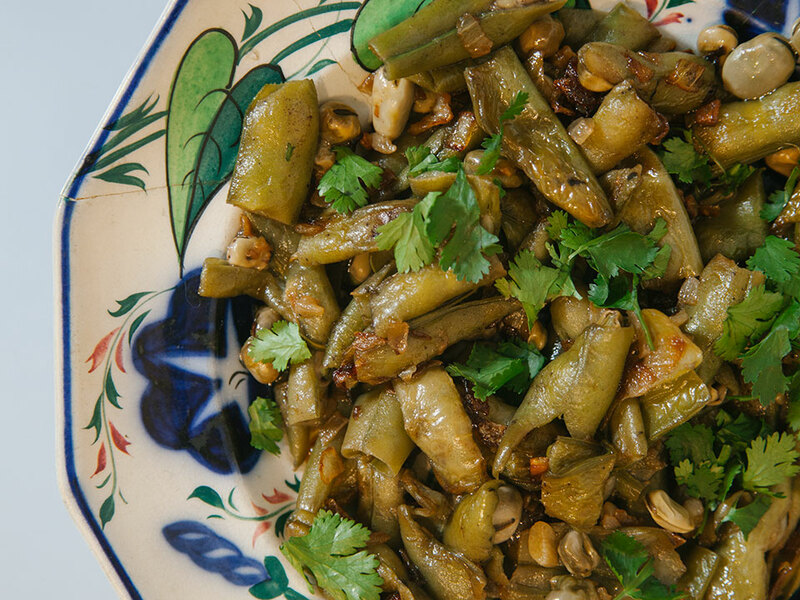 Dry green fava beans are picked in the early spring, boiled, and served as a stew-type salad for breakfast, announcing the arrival of good days and fresh eating. 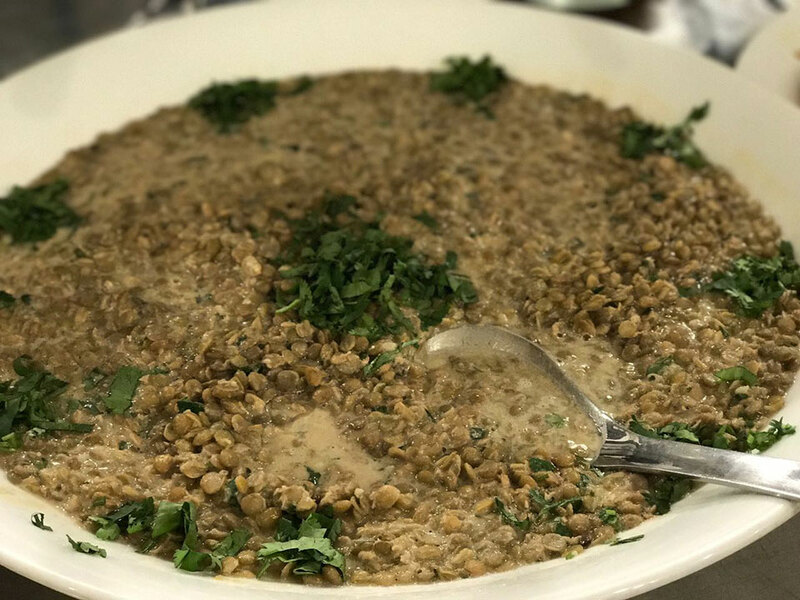 This is the “other” mujadara, the one that must be “grainy,” with the rice in distinct separate grains and not puréed like the Rice and Lentils.